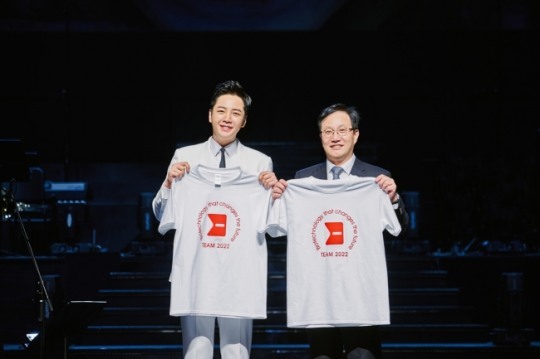 Jang Keun Suk was asked to support Meditox’s global social contribution campaign for the treatment of Parkinson's anomalies in children with cerebral palsy, one of the diseases that can be treated with botulinum toxin. Team 2022, the name of the campaign, will work to support the treatment of acute malformations caused by muscle rigidity in children with cerebral palsy all over the world. Currently, "there are no treatments available to cure acute anomalies in children with cerebral palsy. However, botulinum toxin helps to relax the muscles and helps in the rehabilitation of normal walking. "Meditox has signed a bilateral treaty with Mongolia National Hospital in February for the treatment of children with cerebral palsy in Mongolia and will continue to support botulinum toxin. Mongolia will continue to increase the number of sponsored countries such as Korea, Vietnam and Kyrgyzstan. AH! That's why he is on a pop up ad in Switch introduction with Medytox logo. Thank you! Eels can do as team and support Team 2022??? We really don't know. But it's worth asking Cri-J about.